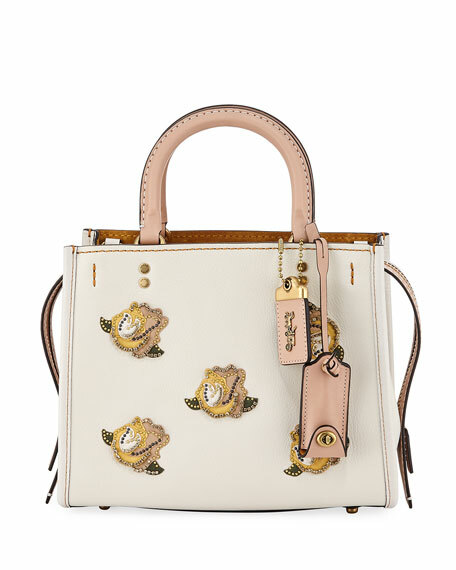 Coach 1941 pebbled leather tote bag with studded colorblock rose appliqués. Hanging logo tag and covered key; padlock at side. Interior, fabric and suede lining; one zip pocket. For in-store inquiries, use sku #2589100.